These are surf-able wave pools ready to go. Today. 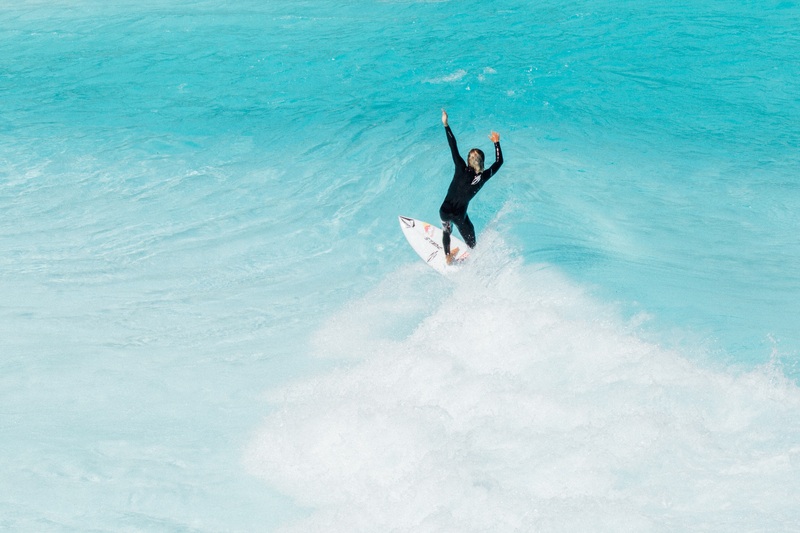 The Wave Pool Mag Surf Planner is a growing Wave Pool Surfing Guide listing all ride-able and soon-to-be-ride-able wave pool surfing locations across the globe. This comprehensive guide will provide you with all the information you need, including pricing and hours, so you can plan a totally new kind of surf trip. Currently there are only eight wave pools in the world open to the public for surfing. We’ve listed them all here. Fortunately this is only temporary as there’s an algae bloom of artificial wave machines ready to populate the globe. Until those open, here are the ones you can surf. Today. If wave pool technology were a tree, at the trunk would be Murphy’s wave. The Scottish company is responsible for wave pool surf locations in Florida, United Arab Emirates, The Canary Islands and Malaysia. After that the next generation of tech came from deep in the Spanish Basque Country with Wavegarden conceiving and developing the Wavegarden Lagoon system which can be found in Northern Wales and Austin Texas. The other tech that is open to the public is American Wave Machines’ PerfectSwell technology like the kind found at BSR Surf Resort. Many of the first-generation non-surf specific pools like Wadi Adventure, Siam Park and Typhoon Lagoon, earn the lion’s share of income from the boardless, bobbing and squealing public. That income keeps the parks open. Surfing is sidelined and often falls under the park’s marketing budget (surfboards look cooler than floaties). In short, a class of fifth-graders from the nearby public school is worth more to the wave pool’s bottom line than you and your shredding friends. Don’t expect a bargain. But the second generation of pools is changing all that. Based on surf-specific income models, Surf Snowdonia, NLand and BSR Surf Ranch make their money from rippers like you. The first generation pools in most cases offer private sessions before and after swimming public hours. Fortunately, the second generation wave pools cater to surfers all day long. The Lowdown: The first wave pool for surfing launched in the USA, Doug Coors’ project uses Wavegarden Lagoon technology to generate waves in a large manmade lake. The lodge is family friendly and a popular place to watch the action. NLand overcame mountains of bureaucratic entanglements to cater to Texas surfers and soon-to-be surfers. Located outside hip, trendy and tech-savvy Austin, NLand completes a nice dual destination package at the right time of year: Surfing by day, South By Southwest Music Festival by night. The Lowdown: The ‘It’ girl of the wave pool scene Summer 2018. The Surf Resort and BSR has starred in so many YouTube and Insta clips that it’s trapped the attention of anyone scrolling the #wavepool hashtag. So advanced and desireable is American Wave Machines’ PerfectSwell tech (the adjustments and possibility of wave combos is mind-boggling) that Stab hosts the “Stab High” wave pool contest here and they are booked out months in advance. The Lowdown: The world’s first commercial wave pool with Wavegarden technology. The crew in Northern Wales took the plunge before anyone else and had to invent the whole wave pool business model from scratch. The result is a playground that feels like a weekend ski resort retreat, but much, much cooler. You can surf with resident pro Jo Dennison. The Lowdown: The wave has been an Atlantic ocean secret spot hidden on an island of great natural surf. But it’s a solid destination for European wave pool hunters looking for something exotic in an already exotic location – the Canary Islands. The pool has starred in a few surf videos, most notably a Volcom session with groms and rising UK star Lucy Campbell. But the most comprehensive clip that gives a real feel for the place is a Spanish bro-fest. The guys rented the pool and walk viewers through ten minutes of the Siam Park experience complete with high-fives and hoots. We’ve gone with the Euro QS team session at the Spanish park. Technical Information: Fast right and left off a steep wall that backs off before a dumping closeout on the shallows. The Lowdown: The site of several early 2000’s party clips from the likes of STAB and Quiksilver. The park caters to surfing with special evening hour session once the swimmers have packed up and left but doesn’t have a landing page or contact for reserving a session. Type of wave (s): Combination lefts and rights in a slow crumbly fashion that pick up speed as they near the closeout in the shallows. The Lowdown: The pool generates roughly one 6-foot-wave every 90 seconds, a burgery right and left off the deep end that rushes into a closeout on the inside bar. (Be careful many reviewers complained of getting scraped on the pool bottom.) Typhoon Lagoon offers Surf School lessons and the water park can be rented out for private surfing. Price Breakdown: $165 for lessons. No price listed for free surf. Park admission is $65 for 1-day pass. There are surf lessons before the park opens and after it closes. Space is extremely limited but you can make surfing reservations online at the website link below. Each 3-hour session comes with 100 waves – broken into sets of 25. The renter gets to choose the wave settings. The Lowdown: Another beautiful Murphy’s Waves setup with rip-able rights and lefts. Clearly defined rates and access to the park for surfing are a bit dubious, but armed with basic park info and contact info, the surf eager should find easy access.